Nairobi (HAN) March 4th, 2014 – Ethiopia one of the founding member states of the League of Nations and United Nations has a significant role to the establishment of both the League of Nations and the UN. Since then, Ethiopia has remained committed towards African issues irrespective to government changes. Ethiopia’s contribution to bring lasting peace and stability in Africa in general and the horn in particular emanated from its needs to get itself out of the quagmire of poverty. The role it has been playing for the prevailing of peace in Somalia is typical evidence. Somalia was in total political collapse before 2007. The country has become safe haven for extremists. It has been the breeding ground of militants inspired by the Egyptian Muslim brotherhood and schooled in Saudi Religious Institutions (Medhane 2004). Although, the situation has been changing, many political analysts leveled Somalia as failed state. Things have fall apart-Socio-economic and political institutions were dismantled. Lawlessness, daytime naked peculates and killings have become the order of the day. The warlords whose hanky-panky slogan had become incontestable hyped up for power. The diffusive din of war of the extremists masked under religion motto turned out to be as a way for political power. The fragility of Somalia was intensified by the hostile foreign policy calculated by Eritrea’s regime to spread political Islam to Somalia. It was also conditioned among others by the Issayas’s regional hegemonic project and economic reasons that led to regional crisis. Meanwhile after the year 2000 the North-East African balance of power was totally altered. Eritrea was defeated and it was no longer a significant regional actor (Medhane 2004). The state in Eritrea could not even refute the claim presented against it by UNSC that it has been training, financing and directing the diabolic elements in Somalia. The globally composed Islamists based in Somalia were not different from any terrorists in the world. Expectedly, the Islamist courts declared jihad over Ethiopia having clearly desecrated the commandments of the Holly Quran which prohibiting jihad over Ethiopia by Prophet Mohammed. This was incontrovertibly self-evident that unveiled their literal intended flabby indecency. 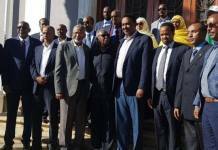 Islamist courts who advocate the greater Somalia ambition occupied major parts of Somalia nearing to oust the designated government of Somalia in 2006, Ethiopian forces then entered deep into Somalia following requests from the Federal Transitional Government (TFG). The entrance of Ethiopia has raised some dust from a range of sections for understandable grounds. They have left no stone unturned to twist and detract the situation when Ethiopia dispatched the diligent forces. There were two ambitious groups in that hot spot. The one group is to restoring peace in Somalia and the other group is to exacerbate the situations to make whatsoever benefit out of the havoc. Even Ethiopian opposition political parties made a passing political business out of the event to compensate their political acceptance busted at home. Their hooked power appetite conquered them to be ‘fish out of water’ politicians who appeared to compromise sovereignty of the nation whom they are flailing about to lead it. In connection to Ethiopia’s entrance to Somalia, there were four fundamental points. One is that Ethiopia did not enter into Somalia to avoid the internationally recognized government of Somalia. Second, it entered following the request of the people and government of Somalia. Third, Ethiopia entered because the fundamentalists declared open jihad against it. 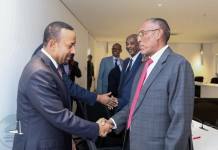 Fourth, the AU, IGAD and other international community requested Ethiopia to play its courteous mitigating circumstance policy. The people of Somalia gained the room to respire an air of peace for the first time in two decades long. Due to Ethiopia’s sacrifice, the anti peace elements were fractured that led to TFG functions properly and takes political and economic corrective measures. 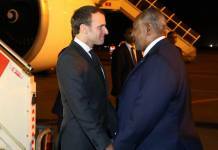 After all, it is because Of Ethiopia that AMISON could seat their foot in Somalia to maintain peace and stability. The Somali people inflicted by diabolical depredation of the Islamist courts dilapidates them together with Ethiopian forces. Ethiopian Somali region has hosted the fifth Nations, Nationalities and Peoples celebration as a result. The unique victory of Ethiopian forces was in dilacerating the devious elements and diminishing their detestation din from the mind of the people. Destabilization regimes and groups were cut. All intended plans were attained. The situation in Somalia has now become promising. Currently, embassies, international nongovernmental and governmental bodies are reopened their offices in Somalia. Economic and political measures are underway to rebuild the ruined state of Somalia. Serious national efforts are going on Somalia to fix bombed bridges, roads and houses. National reconciliation among various clans has been well on the move as to develop national trust. This is the most effective way to create majority accepted functioning government in Somalia to extenuating circumstances by segregating hoodlum war hungry elements if peace is to prevail. Precisely, basic needed activities are being taken place in order to restore peace and stability thereby economic and democracy developments in Somalia. It is noticeably enough for those who predicted Somalia’s problem is insoluble forever. Recently, Ethiopian forces joined AMISON. Somali Ambassador to Ethiopia in his exclusive interview with WIC last week stated that the peace loving people of Somalia believe that Ethiopian forces will play decisive role in dismantling extremists and rebuilding Somalia’s national effort to peace and development will unmistakably help AMISON to finish the mission in shorter period of time. “There are number of reasons why our people and government are happy”, he continues, Ethiopians forces are well aware of the intention and mission of Alshebab and realities of Somalia, second they are aware of the culture and behavior of our people, second they are brave enough to secure peace. Third, they are ethically accepted by our people. Fifth, they are loved and involved in helping people out of their military mission. Therefore, they will effectively be of assistance of our country”. 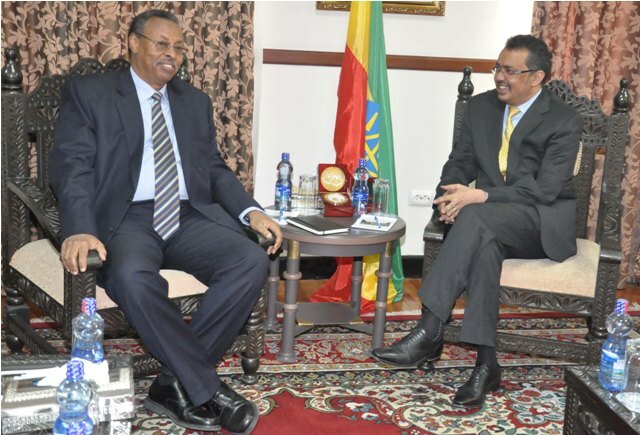 Ethiopia has extended its utmost efforts to bring lasting peace in Somalia. It has now joined AMISON so as to back the Somali government in wiping out Alshebab and rebuild Somalia. In fact, the key palyers in this regard are Somalis themselves. The government must mobilize the people and work hard for the reconstruction of Somalia. Along with ensuring peace, development activities must underway. There is one extensive effort to rebuild and expand schools and health centers. All these are expected to be done by the government and people of Somalia in collaboration with development partners.